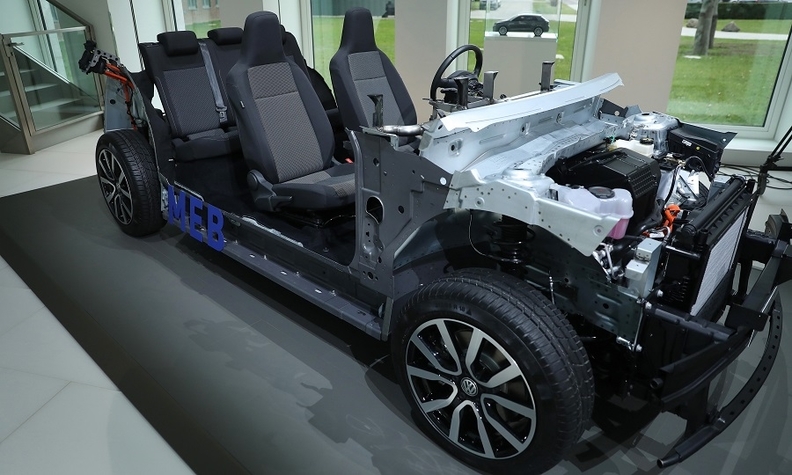 VW Group is developing full-electric city cars based on a shortened version of the group's Modular Electric Drive Toolkit (MEB) architecture. WOLFSBURG — Volkswagen Group engineers are encountering obstacles as they attempt to shave up to a third of the costs of developing a family of city EVs for the VW, Seat and Skoda brands. VW Group' Seat brand will lead development of full-electric city cars based on a shortened version of the group's Modular Electric Drive Toolkit (MEB) architecture. They will cost less than 20,000 euros ($22,500) and will replace the VW Up, Skoda Citigo and Seat Mii minicars. The shortened MEB platform could also eventually be used for electric successors to VW Group's subcompact cars sold in Europe such as the VW Polo as stricter European Union CO2 emissions reduction targets make developing small cars with combustion engines uneconomic. The smaller MEB platform will be used for cars up to about 4000mm (1575 inches) long. VW brand development chief Frank Welsch said engineers are looking into radical changes in the EV architecture for the city EVs. Shrinking key drivetrain components and using less steel, plastics, fabrics or other materials were among options. The two long banks of battery modules fitted perpendicular to the door sills could be rotated 90 degrees so they fitted lengthwise, Welsch told Automotive News Europe. "That would give us more space between the battery and the sills, and hence a greater cushion should an accident occur," he said. "Safety is a major priority at Volkswagen and a lot of money is spent trying to protect the battery cells in the event of a crash," Welsch said. Seemingly more straightforward measures could be problematic, however. "We have to see for example whether the range of electric motors we currently have planned for the MEB need to be supplemented with a smaller one for example," Welsch said. This means adding new complexity into an architecture streamlined to create the greatest possible commonality of parts across the entire range. Welsch said it hasn’t been decided either whether such a motor should be an induction motor rather than the competing format intended for use in the ID, which uses a permanent magnet that requires rare earths. Currently VW Group's entry-level electric car is the VW e-Up. Skoda will launch a Citigo EV based on the e-Up this year and Seat's Mii EV will go on sale next year. 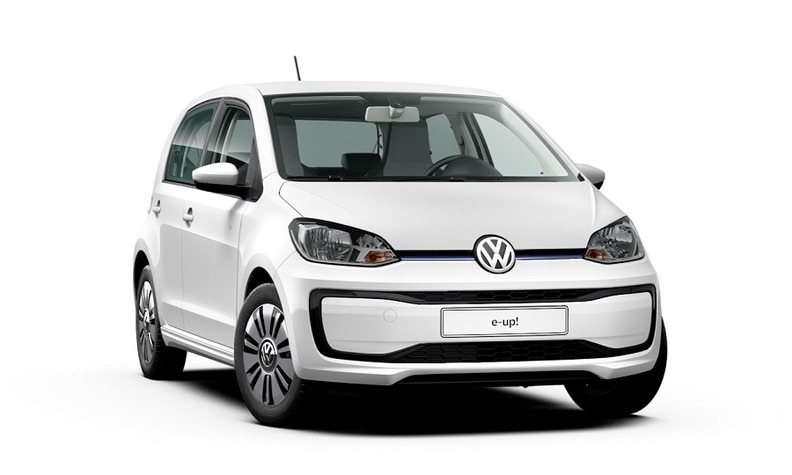 The VW e-Up will soon have Skoda Citigo and Seat Mii siblings but it's expected be phased out by 2022. The Mii will serve as a "appetizer" until the new small MEB cars are launched, Seat CEO Luca de Meo said at the brand's annual results conference on Wednesday. The e-Up was converted from the Up combustion engine car and has been inefficiently retrofitted to accomodate a battery pack just like the e-Golf, currently VW Group's best-selling battery-powered car. The e-Up starts at 23,570 euros in Germany. Volkswagen hopes an upcoming facelift to the e-Up along with a considerably longer range of 300 km (186 miles) can boost the vehicle’s low volume tenfold in its remaining years. These customers could then be migrated to the new MEB entry-level car. The small MEB cars will be just shorter than the Volkswagen T-Cross small SUV, which is 4108mm long but they will be roomier inside because the wheelbase's length can be maximized and they would have shorter overhangs. To correct for the height added by the battery pack, they will also get larger wheels than the T-Cross. Seat will launch the first model in the family around 2023, then "multiple versions" will be sold across the group’s brands, VW Group CEO Herbert Diess said at Seat's annual results conference. They will replace electric and combustion versions of the VW Up, Skoda Citigo und Seat Mii, whose production is set to end in 2022. VW says the small electric platform project is a significant step toward "affordable" electric mobility. Welsch said: "Anyone can build an expensive car. The most difficult task as an engineer is to build an affordable one."